At MWI we’re constantly looking forward, which is why we loved Rand Fishkin’s Inbound Presentation: How to Keep Up With Google in 2017. We’re big fans of Rand, Moz, Hubspot, and to this point, 2017. His presentation was full of valuable insights, so we thought we’d pull out the most important pieces for those of you who may not have 45 minutes to watch the full video. And for those of you who do, we’ve embedded it down below! Before we dig into what marketers need to do in 2017, let’s take a look at the current landscape of search. 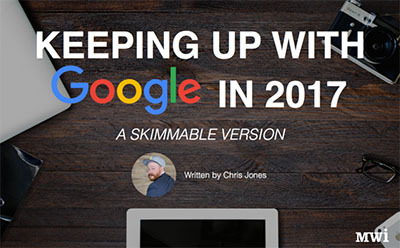 Google has made a ton of changes to its algorithm over the last 2 years. So much so, that the SERP layout that used to be so familiar, 10 blue links, only accounts for about 3% of all search results. Google, the keeper of keyword data, continues to make it difficult for marketers to get true keyword volume numbers and is in some instances, hiding it. Google is presenting search volume as ranges, which in most cases are not accurate at all. They are also lumping what they deem “similar terms” into a bucket and assigning the same search volume range to them. Thankfully though, we’re still able to glean some keyword volume insight from companies like Clickstream. 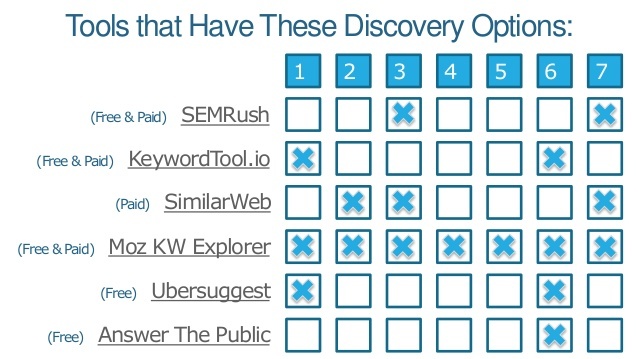 Companies like Moz buy data in bulk and analyze for use in their keyword explorer tool. 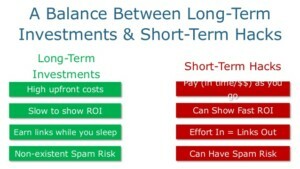 Using the data from Clickstream, Moz has learned that search queries are much more verbose than they used to be. In fact, the most commonly searched for keywords (think head terms) total about 1 billion unique queries. Those queries account for just 35% of all search terms. That means there is a ton of room for marketers and businesses to target long tail and long, long tail search terms. Google’s paid ad listing on SERPs is so subtle at this point that it’s almost impossible to think what Google might do next to make them look any more like the organic results down below. Remove the green background from “Ad”? Google is doing everything in their power to increase click-through rate for paid ads. Did you know, that of all searches conducted, only 1.19% result in a click on an ad. Google is making upwards of $40B/yr from clicks on 1% of searches. So you can understand why they constantly make tweaks to SERPs that help steadily increase CTR for paid ads. About 40% of all searches DO NOT result in a click because Google is providing the answer with a knowledge graph result. But, 51% of all clicks performed in the US go to organic search results. So, when someone asks you why they should bother with SEO, tell them that organic referrals account for about half of all clicks from search. That’s a huge opportunity. That’s a ton of change. Most of which has happened just in the last year or two. As we move into 2017 there are 5 things we can do to improve search visibility for ourselves and our clients. You have to diversify your traffic sources if you want to do well in search and SEO. If Google knows your site is getting 80% of its traffic from them alone it could raise a red flag. It may cause Google to become suspicious as to why they account for such a large percentage of traffic, compelling them to look into what might be going on with your site. Diversifying where your traffic comes from means identifying search engines other than Google that your customers are using. 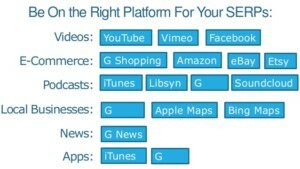 For example, Youtube is the second largest search engine behind Google. Amazon is responsible for a huge amount of e-commerce searches; and your customers are using sites like Yelp, and other niche engines, that your business needs to have a presence on. 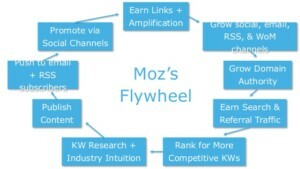 One way Moz utilizes different search engines is through their content publishing process. For their Whiteboard Friday video series (which is incredible and highly recommended), they post to their own site first. They do this because they want to own the search traffic, get the links, and have it live in a place where Mozzers know they can get it. Then, three months later, they add the video to Youtube because they know there is a considerable amount of search activity taking place there. 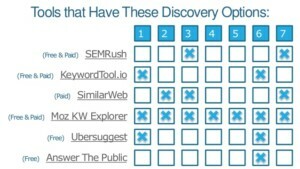 Tools to Use: Similarweb | Jumpshot – these sites will help tell you where competitors are getting their traffic from. There’s no doubt that Google is getting smarter. And the smarter they get, the better they get at answering search queries directly from the SERPs. That provides an opportunity for us, though. “Instant Answers”, or “The Answer Box”, or “Ranking 0” is a major opportunity for smart marketers who are ranking one page one for certain queries. They can target those terms and structure content in such a way that Google grabs it and puts it in their featured snippet area. When doing keyword research you’re probably instinctively inclined to target terms that have the highest search volume. But in some cases, the lower-volume search term might actually provide more opportunity for an organic click depending on what the SERP looks like. If you can identify keywords that are relevant, but also not cluttered with search ads, shopping feeds, and image/video results all trying to steal that click, your relative click-through rate, or opportunity, is much higher. 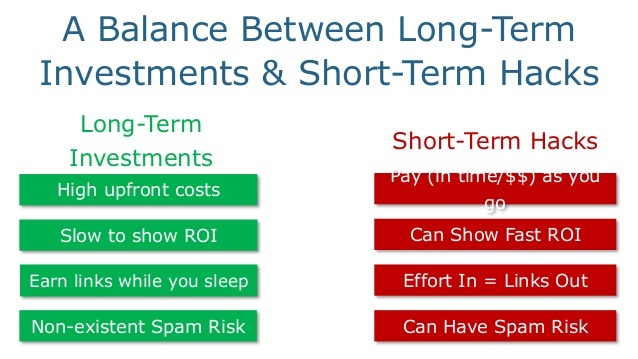 What would you rather put your money/time/effort towards: optimizing content for a SERP that has about a 60% chance of someone clicking an organic result, or optimizing for a SERP that will result in an organic click 100% of the time? Seems obvious, right? But there aren’t many marketers thinking this way. For keyword research, it’s a bad idea to rely entirely on data from Google’s keyword planner. 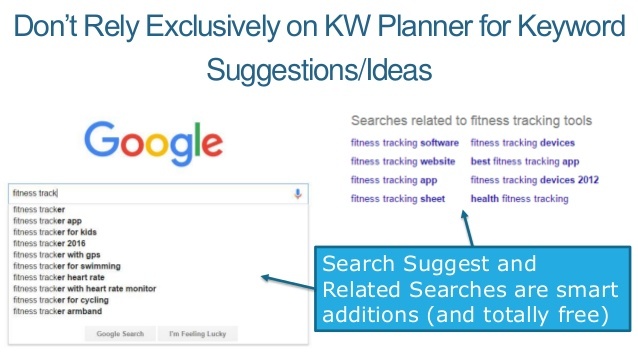 We mentioned this briefly at the beginning, but the data is so inaccurate that it’s smart for marketers to use other tools and come up with other ways to get keyword ideas. For example, Search Suggest and Related Searches provide (free!) ideas that marketers can use to target and build content that serves many different search intents. 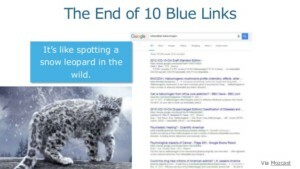 Rand opened up his presentation covering the constantly changing SERP landscape. They are changing in a way that is making it more difficult for organic results to get clicks. To combat this, it’s extremely important to analyze the keywords that are bringing traffic to your site and figure out what SERP features exist on those results pages. 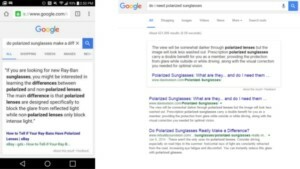 You might learn that a particular query returns a lot of image results, or that somebody ranking beneath you is being included in the instant answer box. You can identify what SERP features exist for specific keywords using Moz’s Keyword Explorer. From there, let the SERP dictate what type of content strategies you need to target. Whether that’s getting into Google News, creating video content, or writing an in-depth article. Another aspect to SERP analysis for your niche is to make sure that you have a presence on the platforms that are consistently being delivered in those SERPs. 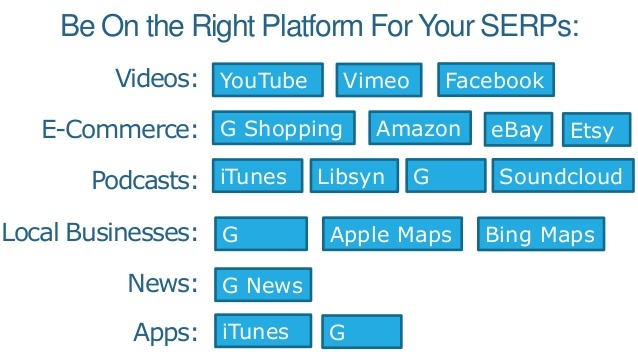 For example (and this isn’t a comprehensive list), if you have a podcast you have to be iTunes, Libsyn, Google Play, and Soundcloud. Now that the SERP analysis is complete and you’ve targeted the right terms, you’ve got to be able to satisfy search intent. Don’t forget that there can be, and likely are, multiple intents for certain queries. It’s not possible to target that just by exact matching keywords in your title tag. This isn’t to say that keywords are not important in your title tag; they absolutely are as they can lead to higher CTRs. It’s important to remember that as business owners and marketers we need to empathize with what the person performing the search is wanting. The example Rand gives comes from Trulia. A user searches for home prices new orleans. 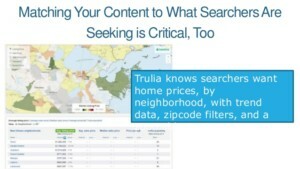 These keywords are in Trulia’s title tag, but look (below) at the content Trulia delivers. They give users home prices by neighborhood, with trend data, zipcode filters, and a zoomable map. 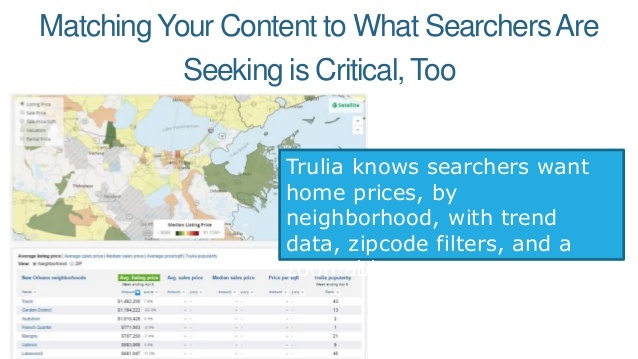 From one query, Trulia figured out and developed content that provides users with everything they could ever want when conducting that search. 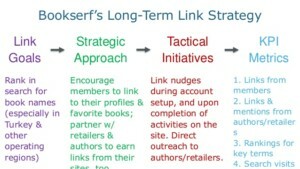 Your link-building campaign has to have structure, strategy, and a roadmap. A good link-building strategy should begin first by identifying the goals link building will achieve, what the strategic approach is, how you’re going to execute on that strategy, and how you’ll measure your efforts. As you begin to execute on a strategy like this, you’ll want to adjust and tweak as you move along, and in some cases you might find that something isn’t working and you need to abandon it altogether. That’s ok. Link-building needs to have room to fail. Not every strategy is going to strike gold, and in fact, a lot of them won’t. But to continue to think outside the box and get creative with link-building campaigns, SEO’s need to be able to have the freedom to try and fail. 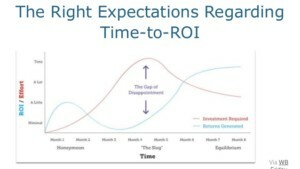 As you implement and move throughout your link-building campaigns you or your client might experience something called The Gap of Disappointment. This happens after the first couple months of execution where the cost investment of link-building campaigns and content creation is vastly outweighing the initial results generated. 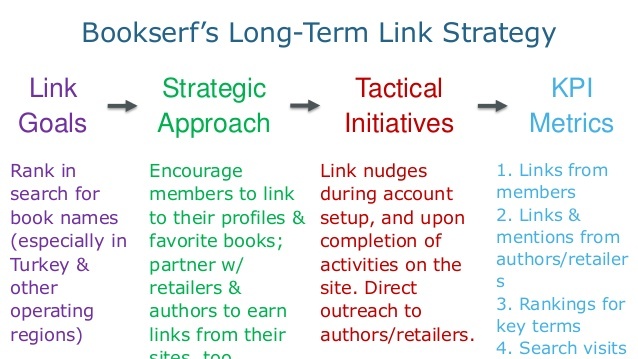 Link-building takes time, and that expectation needs to be set and understood going in. 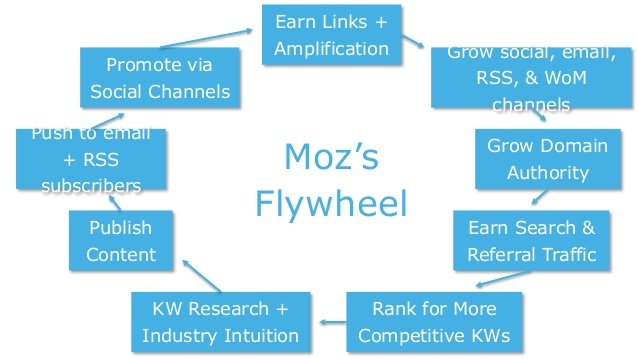 Your flywheel isn’t going to immediately be as effective as Moz’s flywheel. It took them 10 years to get to the point where their flywheel runs like a well-oiled machine. You’re going to encounter roadblocks and points of friction. This is where you can use some of those short-term hacks mentioned above to push through those tough areas to get your flywheel performing. RankBrain, Google’s machine learning algorithm, is different because it analyzes a query and determines which algorithmic elements should be applied to that particular search. It’s moved away from a standard set of ranking signals that apply to all queries. It’s also looking at multiple query types, determining that some of them have the same, or similar, intent. 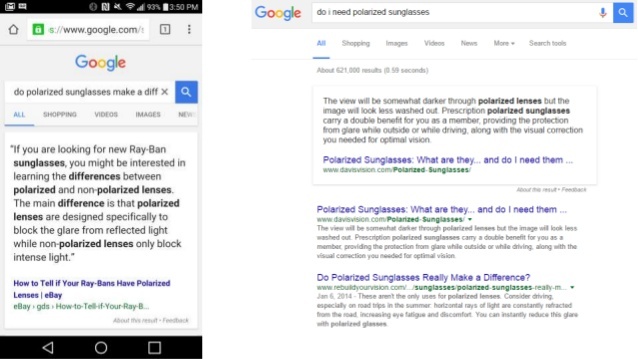 In these cases, Google shows similar, if not identical results because they are using the same algorithmic signals to rank these keywords. 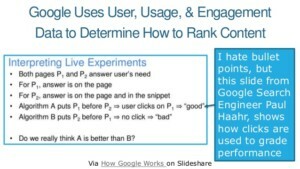 One way Google determines that is by usage and user engagement metrics. 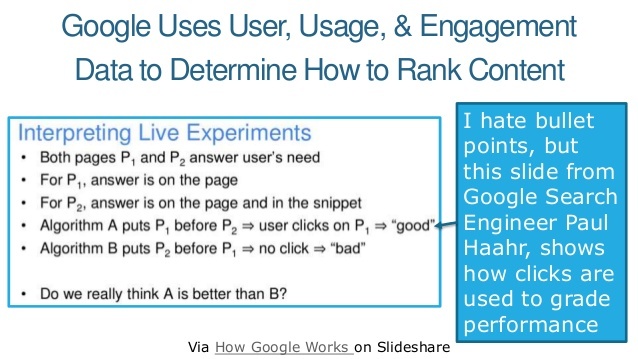 Essentially, Google is saying that a result is good if a lot of people click on it, and bad if they don’t. Not really rocket science. 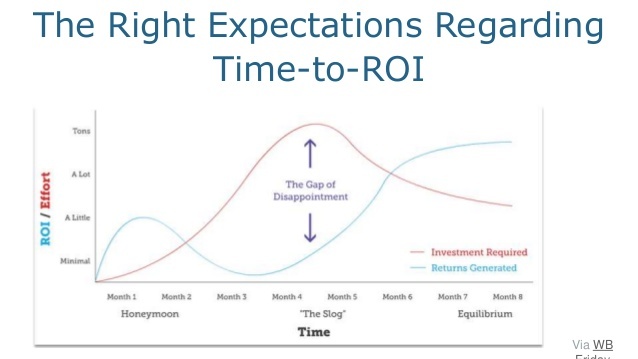 Many of us though haven’t considering that Google is evaluating engagement metrics at the SERP level. For example, Google shows a SERP to a user and they do the following: user clicks-through, but then hits the back button to return to the SERP. Then they go to page two where they don’t find anything better, before ultimately trying a completely different search term. That’s a bad experience. Google is measuring these interactions and using this data to improve their SERPs and adjust the site’s they are ranking. That’s why it’s important to consider the pages on your site that are bringing in organic traffic and constantly evaluate their performance. Your website’s search engagement reputation is key to how Google is going to rank your pages. At MWI we created a deliverable that addresses these issues. We not so creatively coined it as the Content Optimization Opportunity doc, or COO for short, because there aren’t enough acronyms in this industry already. We’re regularly evaluating our clients websites looking at avg. 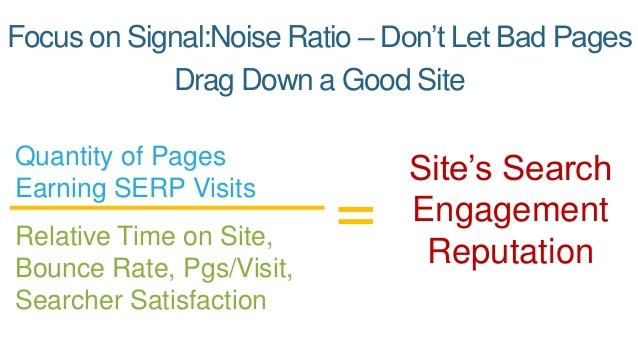 time on site, bounce rate, exit %, etc. and we diagnose what the issues are. 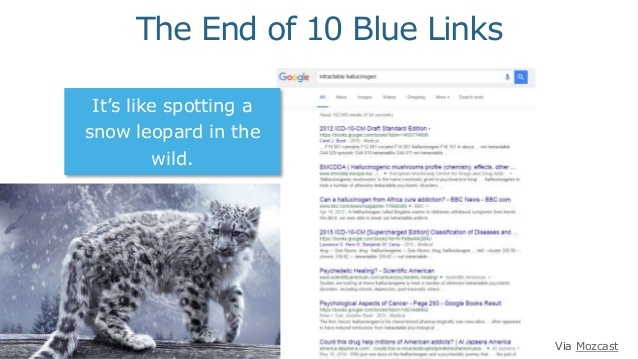 We then outline similar keyword themes, identify what user intent might be behind those queries and then create better optimized content that is more engaging and satisfying to searchers. And, of course, we consider what the competition is doing to outrank us, and we strive to make our content better and more comprehensive than theirs. 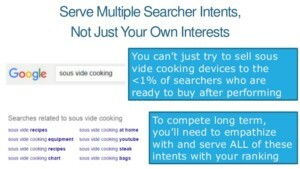 A good example of this comes from Rand’s deck for the search term sous vide cooking. We need to create content that serves multiple user intents, not just our own interests. Just FYI, for that query sous vide cooking, none of the pages ranking on page one are trying to sell anything. 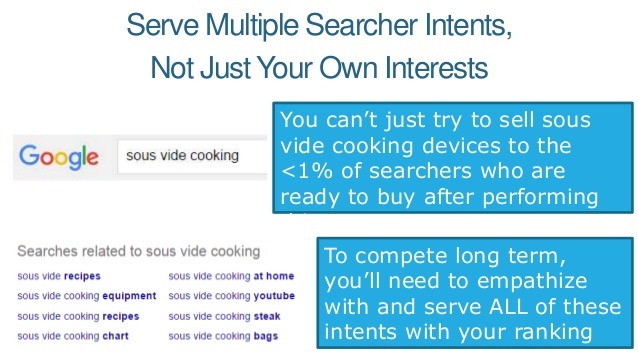 The intent of that query could be someone looking for recipes, trying to learn how to use their equipment, or someone looking for instructional videos of the product. The point is, the pages trying to sell the machine have not created the right kind of content that serves the needs and multiple intent of users performing that search. To create that type of content, you need to be thinking 10X (why not plug one more Rand piece in here). Your content must be authoritative, comprehensive, and better than what your competitors are publishing. It has to be fast and optimized for users on different devices. 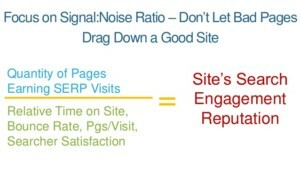 Visitors should be compelled to share, engage, and return. And finally, the experience on your website should avoid anything that might annoy or dissuade visitors. By looking forward and thinking about how Google is changing, we can see how these updates and new algorithms are affecting our businesses or our client’s businesses. Google might be making it harder for marketers and SEO’s to get organic clicks, but the opportunity is there if we take the time and put in the effort to create great work that makes users happy. 2017 is the year we stop relying on Google for answers (because they’re hiding it from us anyway), we look at how the state of search is changing, and we create the answers ourselves with truly great content and user experience. SEO isn’t dead. It just has to be smarter, more relevant, and more strategic than ever before.